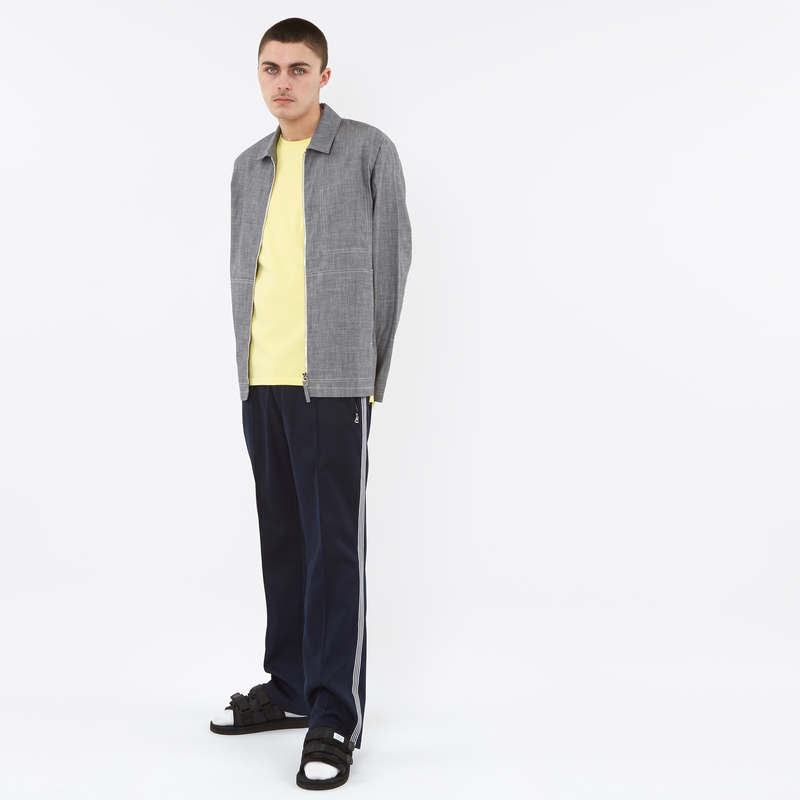 Stockholm store Tres Bien is now punting its in-house line out to other retailers, the first notable target is London’s Goodhood. 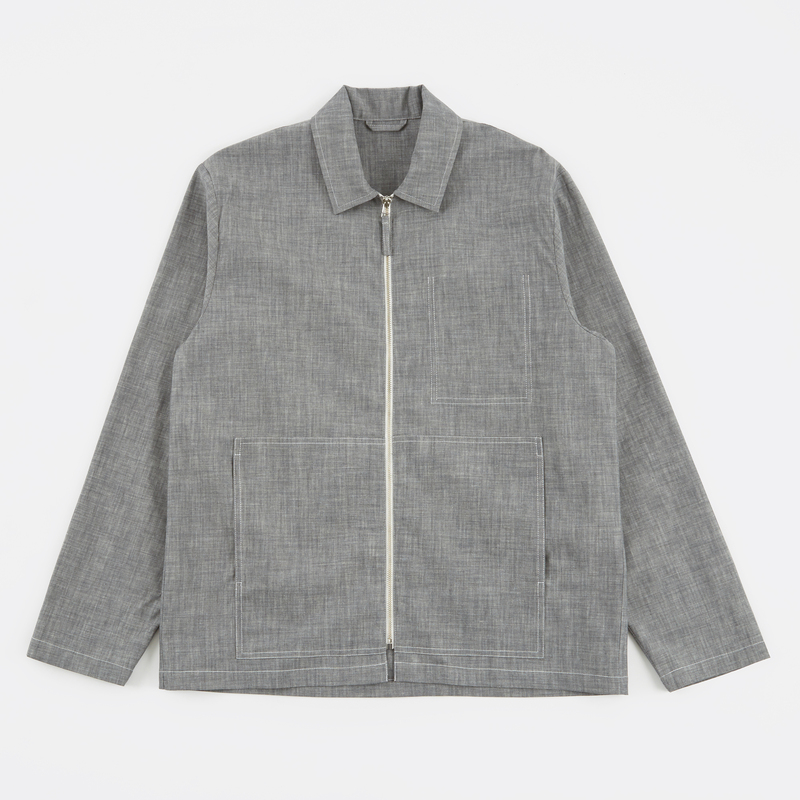 The line mirrors the same stripped back, Scandi minimal approach common to most of the brands Tres Bien carries in store. If you were being ungallant, you might say it’s a virtual xerox of Our Legacy via Lemaire. I would never say that though. 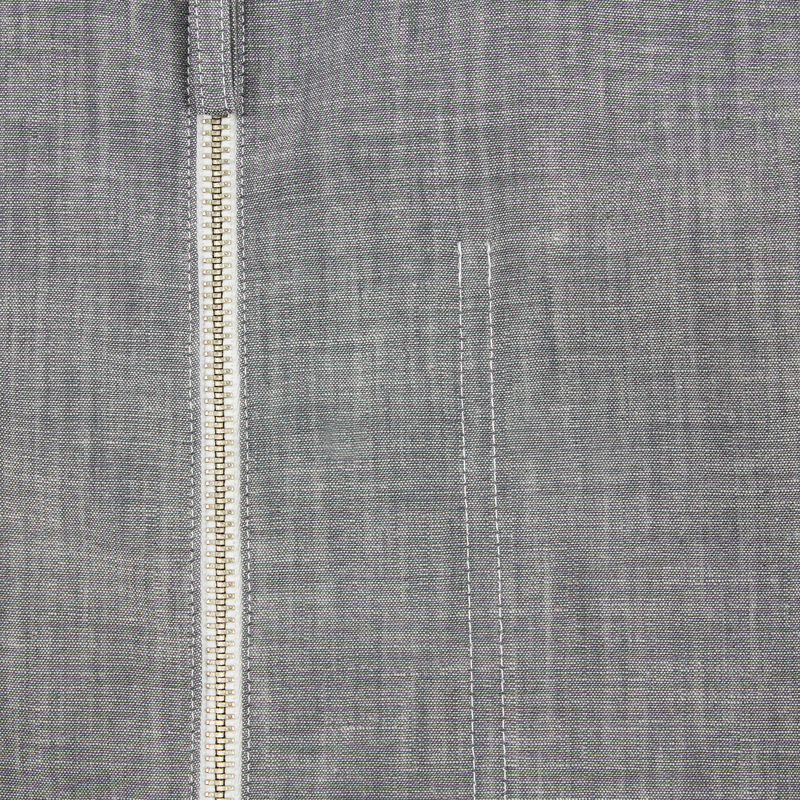 Goodhood refer to the range as comprising “premium basics”, but I’m not sure this grey blouson is a basic as such. Subtle yes. Uncomplicated certainly. But if handled right, far from only a basic. Teamed with well chosen, complimentary apparel I think this could be quite the stand out. They may be reigned in, but for the inquisitive, there are details to be discovered. 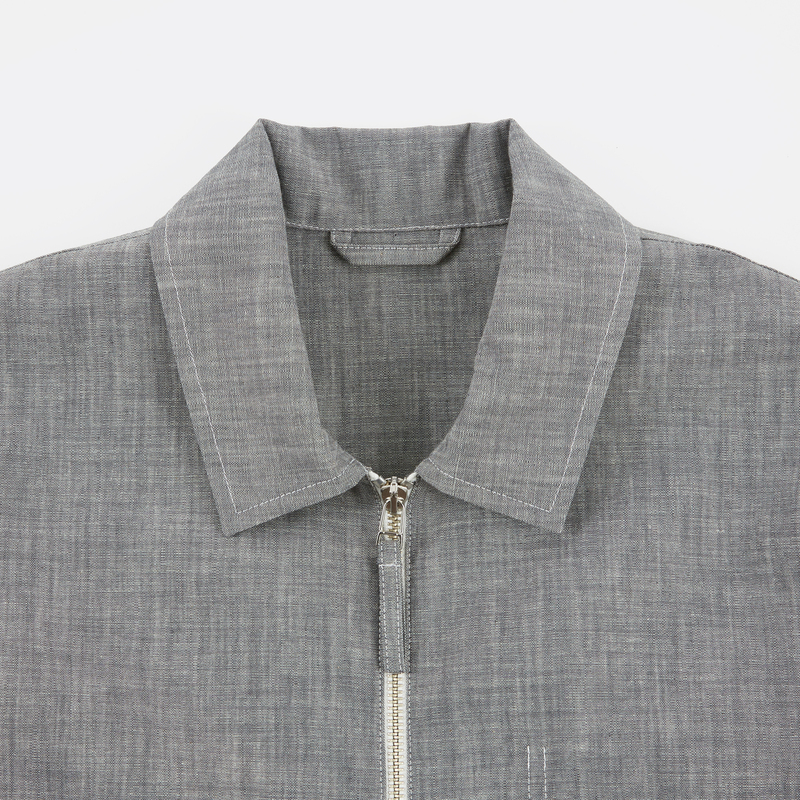 The abrupt, architectural top stitching, the loose sleeves, the crispy cotton and linen mix. And the shade, most importantly the shade. Lightly washed and flecky, the pale grey is ideal for the warmer months; in amongst a beer garden of navys and blacks, you’ll stand apart as a man of specific tastes and a mastery of panache. 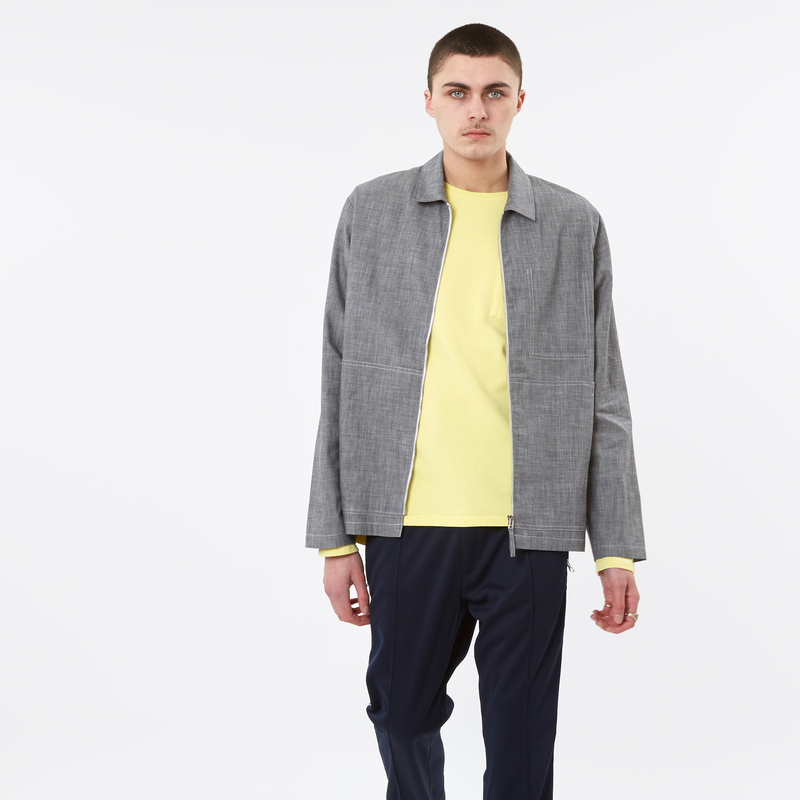 Or at the very least a bloke in a jacket from an in-house brand that’s a bit of a copy of stuff other brands do.